I am a coffee drinker. The day isn’t complete without my cup of coffee. I love cappuccino, latte, or any kind of coffee-laced drink. I love my coffee creamy and a bit bitter. I love having coffee hot or iced. I love it topped with cream and syrup or sprinkled with cinnamon. I may be a huge coffee drinker, but a cup of coffee isn’t complete without a treat to munch on with it. 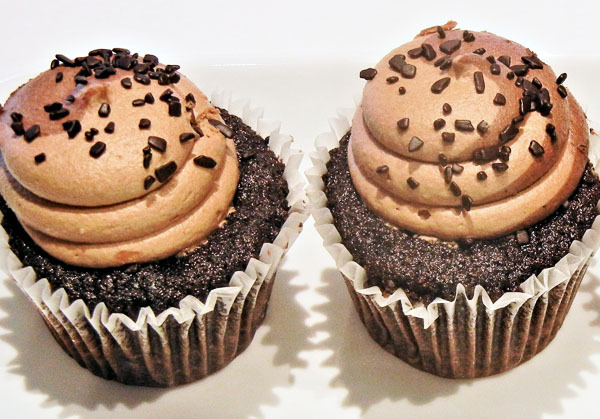 I love pairing my coffee with almost any snack, but the ones that own my heart have to be cupcakes. They are sweet and delicious little treats that go perfectly with my creamy and bitter coffee. 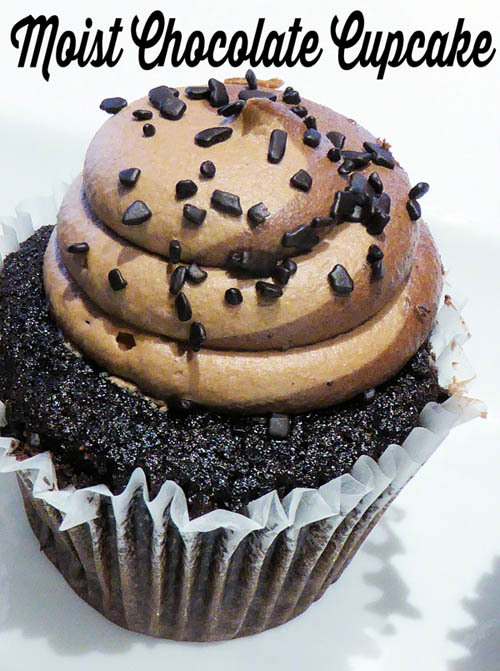 Since I don’t like having too much sugar in my coffee, I compensate with a sweet little cupcake laden with frosting. Cupcakes and coffee go hand in hand. I personally love chocolate cupcakes. Coffee and chocolate are perfect together. My favorite cupcake has to be the one my aunt makes. It has chocolate and coffee. It is the best of both worlds. Preheat oven to 350ºF and prepare your muffin tin and cupcake liners. Combine flour, cocoa powder, sugar, baking soda, and salt in a large bowl and whisk to remove clumps. Mix coffee, vinegar, vanilla extract, and olive oil in a separate bowl. Pour the wet ingredients into the dry ingredients. Mix them all together. Pour them into the muffin tin and cupcake liners. They should fill two thirds of each. Pour your flavoured instant coffee into the hot milk and dissolve it. Set it aside. Beat the butter in a bowl until it is soft and creamy while gradually adding the sugar. Add the coffee and milk mixture and mix well. Spread on top of your cupcake.